Alex Smith hunts down five authentic performance boats that enable you to bed down for the weekend when you reach your destination. 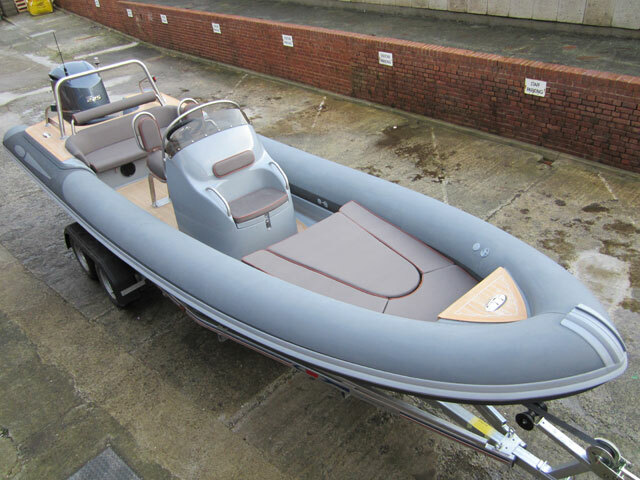 As the name suggests, a fast weekender is designed to facilitate one of the most enjoyable marine pursuits there is. It’s basically a high-performance sports boat that enables you to sleep on board – and with the emphasis on sporting prowess, the accommodation on offer is rarely lavish. On the contrary, even on a premium craft, a weekend on a weekender tends to feel more like a camping trip than an exclusive spa break. What you need (and what you tend to get) is simply a bed for two, space for a heads and the option at least of a makeshift galley. You also tend to get plenty of communal cockpit seating for alfresco diners, but the real trick with a high-class weekender is in providing all of this alongside the kind of performance that makes you forget there’s even a cabin on board. 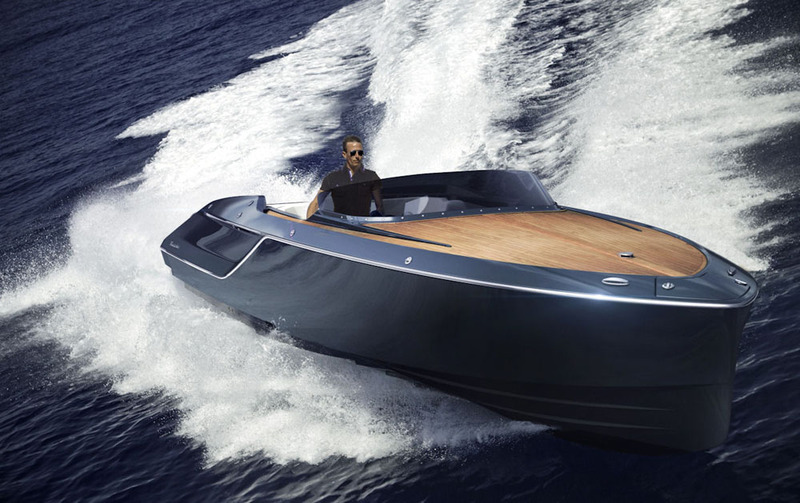 Until recently, a boat like Scorpion’s multi-record-breaking, ten-metre, cabin-equipped Sting model would have been the perfect British entry for a rundown of first-class sporting weekenders. However, it appears they’ve stopped building it so it will come as no great shock that most of the boats on this shortlist now hail from Scandinavia – not just a great place to go boating but the spiritual home of the fast, practical, soft-riding family cuddy. Cormate's T27 is as capable as it is attractive. Originally launched at the Oslo Boat Show in 2006, Cormate’s delectable T27 immediately won ‘Boat of the Year’ before going on to become the King of Norway’s craft of choice as a replacement for his ageing Riva. That decision may have involved a degree of jingoism on the King’s part, but there’s no doubt that the Cormate’s classical lines and high-end finish make it the perfect boat for the job. More to the point, despite providing a well-arranged (if compact) double berth, the T27 offers first-rate sporting pedigree. 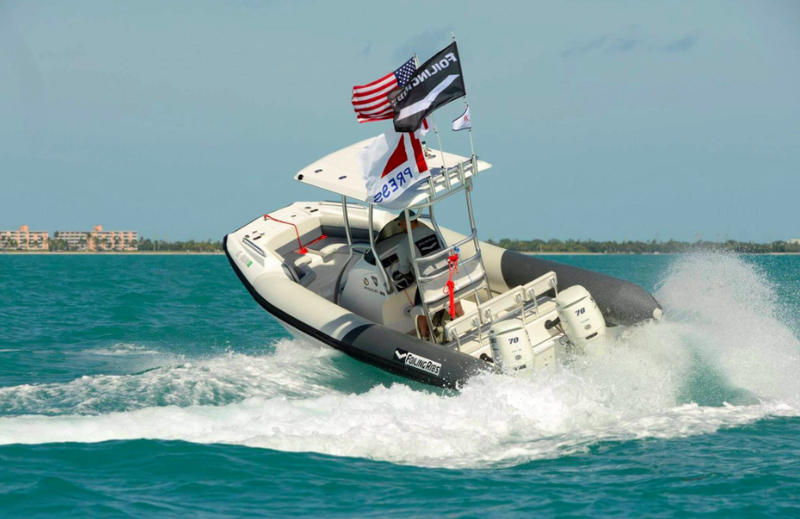 Expertise derived from Hydrolift’s impeccable racing know-how means this boat can be rigged with 600hp for a ferocious top end of around 70 knots. With gentlemanly demeanour allied to radical aggression, this is a fast weekender to covet. Cormate T27 video: First Look Video. 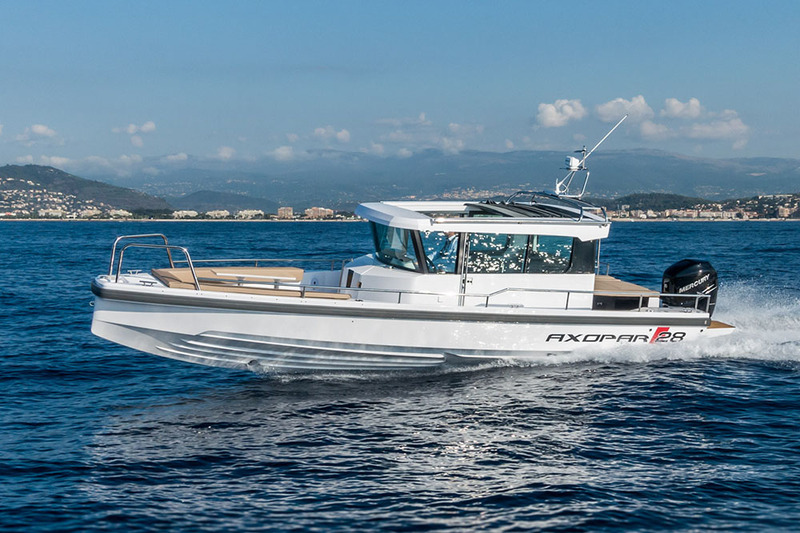 XO's 270 Cabin with twin outboards is a fearsomely capable machine. 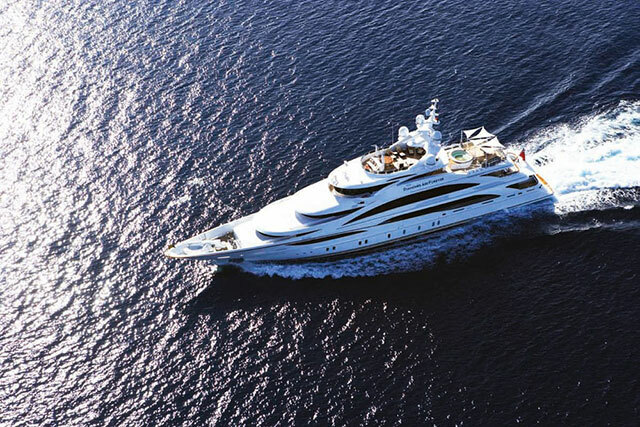 Founded by the same people behind Aquador and Paragon Yachts, XO is reportedly Scandinavia’s fastest growing builder of ‘superior quality pleasure boats’ – and there’s no doubt that the company’s fusion of aluminium and fibreglass seems to be riding a wave of critical acclaim. The 270 Cabin uses the same acute, 24-degree, steep-bowed, deep-V hull form as the rest of the fleet and although it’s available both as an Open and Forward Cabin model, the simple ‘Cabin’ craft will sleep two in great comfort and provide the capacity ahead of the helm either for storage or for use as a day bed. It’s superb to drive too, as illustrated by its repeated awards appearances as an outright performance boat. 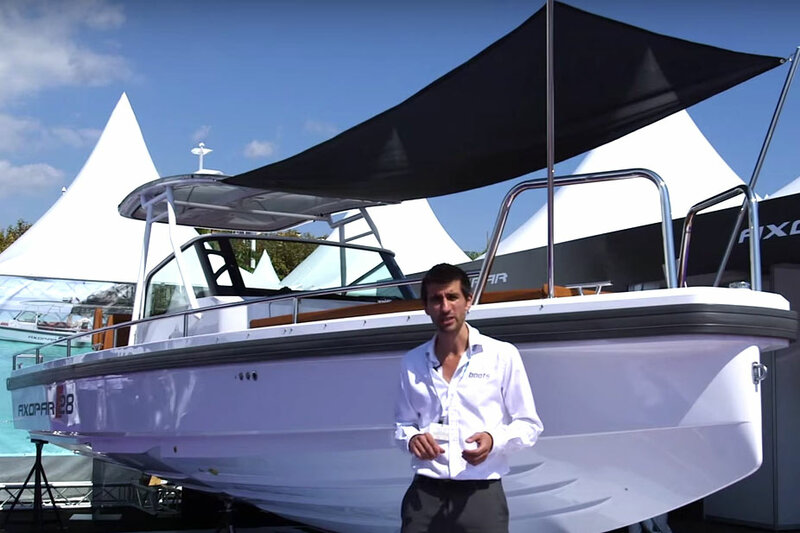 In basic form, a 370hp Yanmar diesel will see it beyond the 40-knot mark and its heavily built aluminium hull and cosseting wheelhouse will enable you to enjoy it all year round. But in new twin outboard form, it brings you extra inboard space plus the bonus of 50-knot performance. It might be quite mainstream, but the Frauscher 858 Fantom fully warrants its place. Despite the absence of a nautical heritage (or indeed of a coastline), Austria is home to a world-beating boat builder – and Frauscher’s 858 model is a particular delight. It employs a Z-drive that can be hooked up to various petrol or diesel engines for a base speed of 40 knots or (with the optional 430hp 8.2-litre V8) nearly 50 knots. The hull from Thomas Gerzer and Harry Miesbauer uses a fine entry, tapered bow and vertical stem, plus deep steps to improve pace and efficiency – and like the rest of the boats in the range, it’s a treat to drive. But the real USP here consists in the aesthetic purity of the design. There are no hull windows or grab rails to disrupt the sculptural loveliness of the lines and even the screen rim is conspicuous by its absence. Inevitably then, seamanship practicality is limited and, despite some neat design solutions and space for an electric loo, the accommodation is also quite dark and constrained. 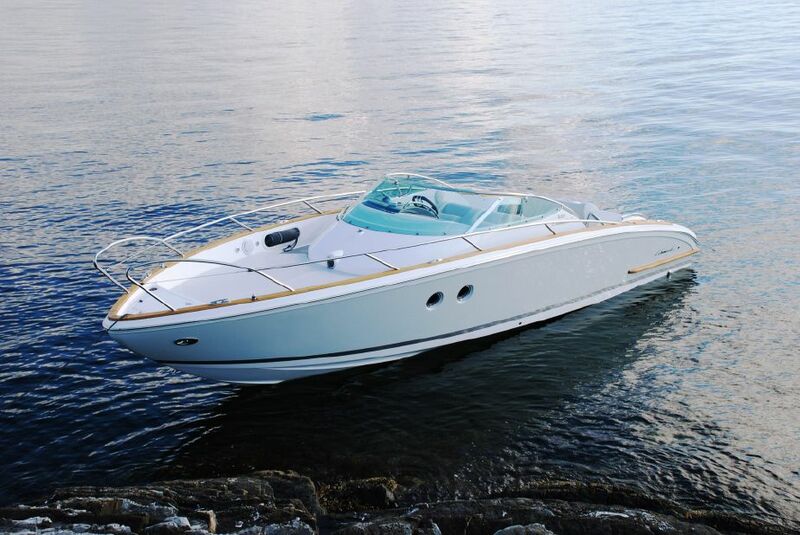 But such is its calibre as a high-end sports boat that the beautiful 858 still warrants inclusion in our rapid weekender shortlist. 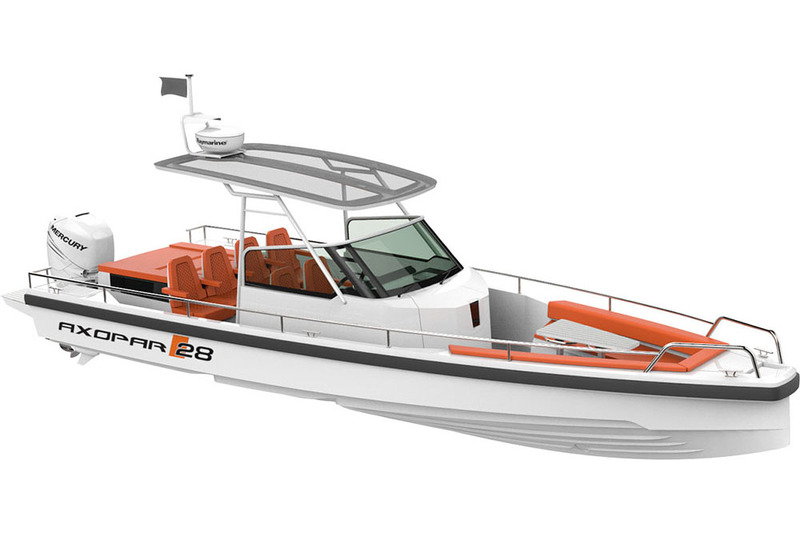 The Kharma 26 is the smallest model in the Windy fleet. No list of this kind would be complete without an entry from Norwegian sports cruiser specialist, Windy. They’ve forged a worldwide reputation by ensuring that the provision of a cabin never gets in the way of the driving experience - and in the form of the 26 Kharma, that driving experience is quite special. It might be the smallest of the fleet but the hull is soft-riding and agile even in difficult seas and at high speeds. In fact, like almost every boat in the Windy fleet, its dynamic ability more than makes up for the lofty prices and compact accommodation of its design. Volvo’s D3 220 diesel will see you to around 40 knots and the quality of the layout, the materials, the mechanisms and the fit-out is as lovely as we have come to expect. One of our 8 'must-see' powerboats at the 2012 Southampton Boat Show. 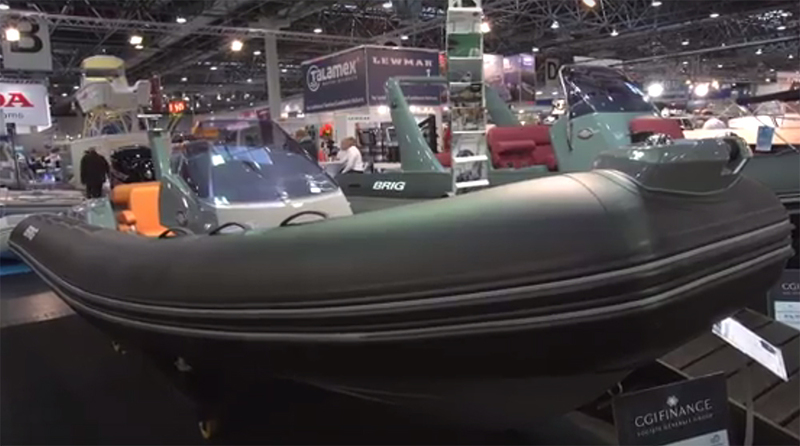 From the same company that builds the XO range, the Axopar 28 comes in five configurations. 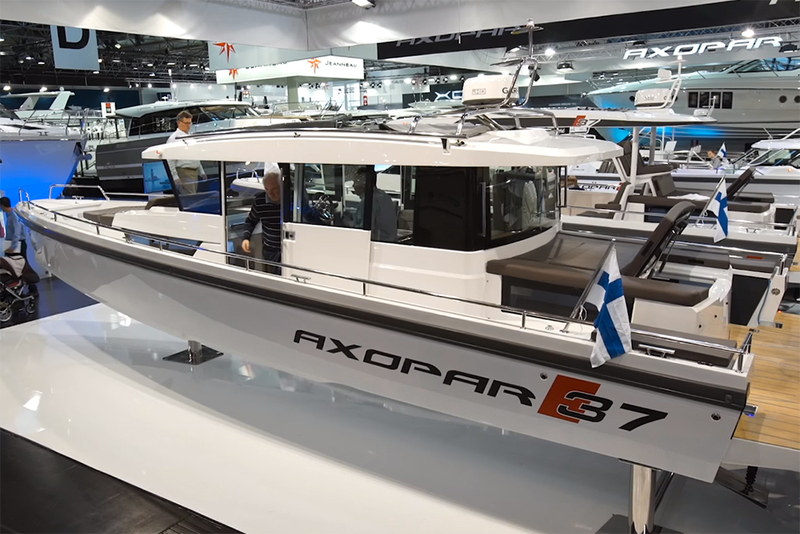 Launched in 2014, Axopar is from the same people who created the XO 270 and the similarities in the hull shape and layout options are quite striking. There are no fewer than five Axopar models at 28 feet, encompassing everything from the full ‘Open’ model to the shelter-rich ‘AC’ craft. 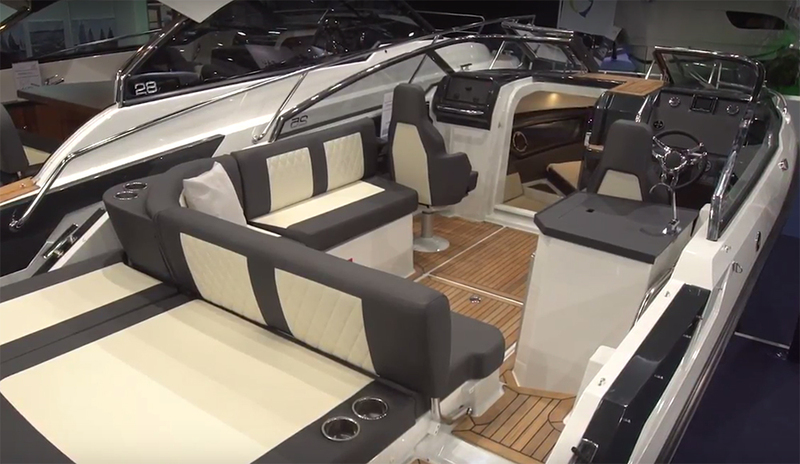 Certainly, if all you need is sleeping for two, the middle-of-the-range TT layout combines a log bow with a deepset cockpit, plenty of open space and a surprisingly generous aft cabin. But for me, as a year-round boater in and around the UK, the four-berth AC model, with wheelhouse plus aft cabin and a separate heads, accessed via the foredeck, is the way to go. This particular boat has won every major award going, and with its long canvas roof, it does a great job of offering open boating entertainment as well as serious cockpit shelter. 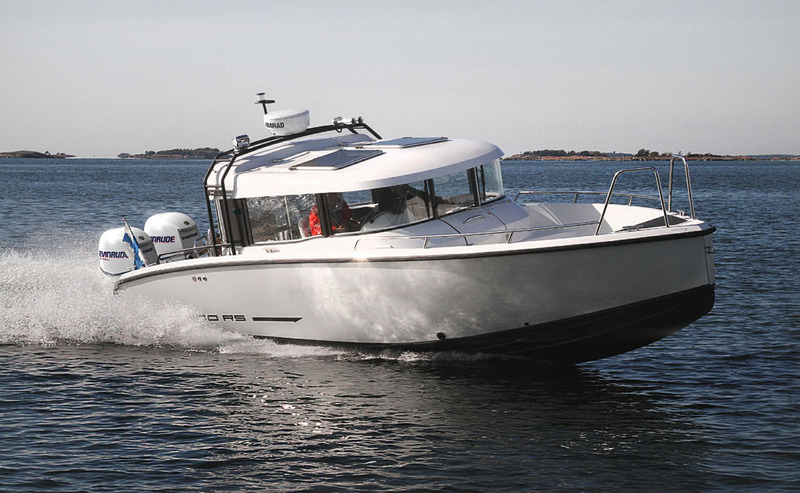 With a 300hp outboard, you can expect around 46 knots, allied to some decent cruising efficiency in the mid 20s of around 1.3 litres per nautical mile. It’s a class act from a builder at the top of its game. See the full Axopar 28 TT review.